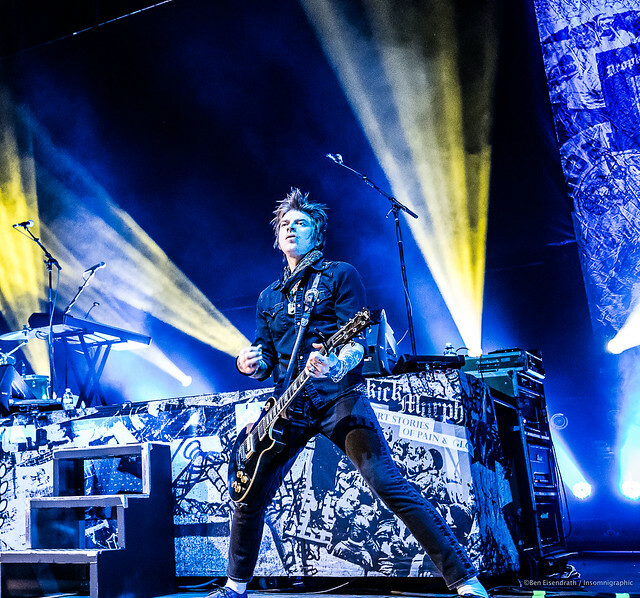 Posted on 03/13/2018 by Mickey McCarter	in Live Review and tagged Boston, Celtic rock, Dropkick Murphys, folk, punk, The Anthem. 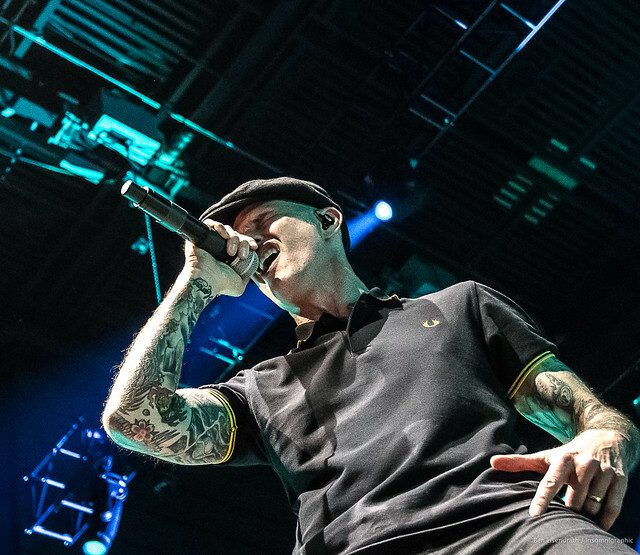 It was a week before St. Patrick’s Day to be sure, but it was still a pleasant surprise that Dropkick Murphys sold out The Anthem for a spirited show of Celtic punk on Saturday. The seven-man band wore Boston pride on their sleeves as they jammed through roughly 23 songs in the wake of releasing 11 Short Stories of Pain & Glory, a ninth studio album, in 2017. But honestly, the show was more about celebrating and raising money to help disadvantaged kids through their charity, The Claddagh Fund, rather than promoting the new album. 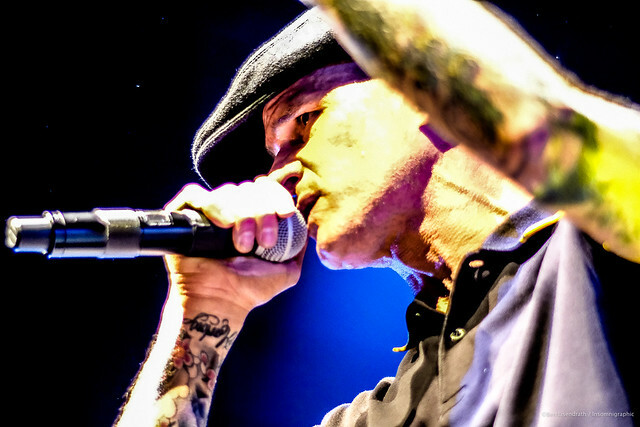 Indeed, Dropkick Murphys played only three songs from the new album, beginning with the sixth song in the set, “Blood.” The riotous song afforded the band and audience the opening to shout along “Blood! Blood!” in punctuating the chorus line, “If you want blood, we’ll give you some!” You could surely see the song sticking around in the Dropkick catalog for a while with its rebellious attitude and call-and-response pattern. During the song, Al Barr, the Murphys’ lead singer, paced like a panther from back to front and side to side of the stage as he beckoned the audience to shout along. From the opening number, Al was full of swagger as he chanted along to “State of Massachusetts” from the Dropkick Murphys’ 2007 album, The Meanest of Times. He bobbed and weaved in a skipping dance prior to bracing himself for a full-throated bellow that first walloped the audience then whipped them into a frenzy. It must be noted that Al and company’s boisterous defiance was born of righteous indignation, the fuel for the fire of Dropkick Murphys songs. The gents empower their songs with an authenticity derived from the misery of witnessing families torn apart by drugs and children being abused or neglected in homes suffering from addiction. 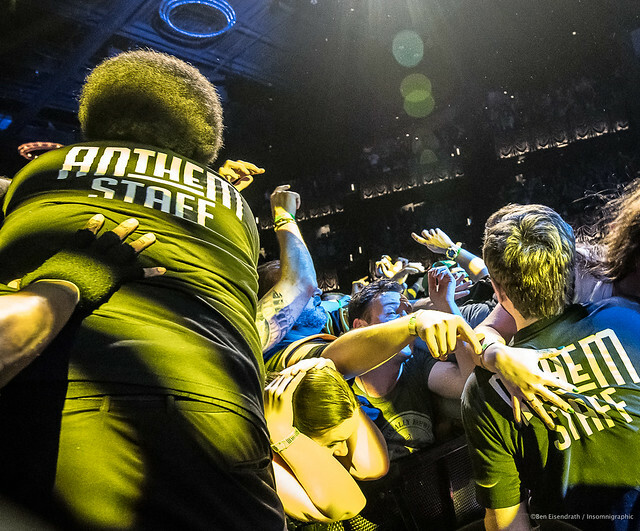 The new album, for example, was born of the band’s work with their charity in witnessing people in recovery from the current opioid crisis ravaging the country. Later in the show, the band challenged the audience to pick a cover for the band to play, choosing between a song by Johnny Cash and a song by The Clash. Although it was close, audience cheers decided the song would be by Johnny Cash, and in response, Dropkick Murphys performed “Folsom Prison Blues” by The Man in Black. 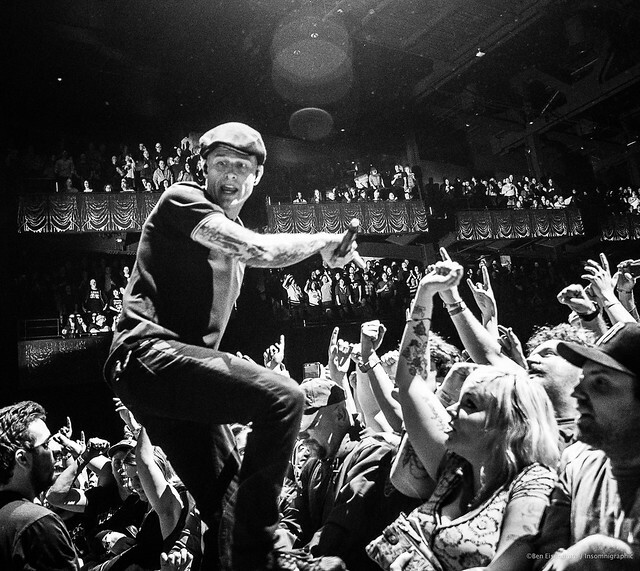 The tough guy antics would eventually pace themselves with more tender and thoughtful numbers like the beguiling “Rose Tattoo,” the lead single from the Dropkick Murphys’ 2012 album, Signed and Sealed in Blood. (Dropkick Murphys later put the song on point in their efforts to raise money for victims of the Boston Marathon bombing in 2013.) The guys were appropriately more sedate for a song of remembrance to a love whose name is written “in a rose tattoo.” Even this more romantic number showcased what the Dropkick Murphys do best: Engage their audience. An impressive chorus joined the band for the refrain. 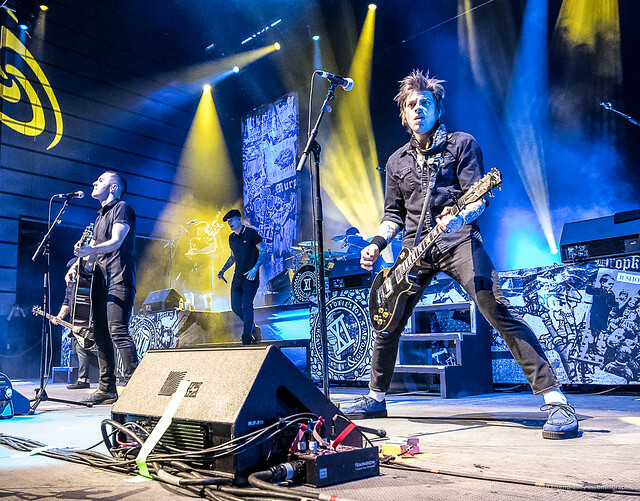 Dropkick Murphys gave us a real punk rock moment in “I’m Shipping Up to Boston,” however, when guitarist Tim Brennan smashed his accordion toward the end of the song and tossed its busted remains into the audience! The sailing song itself, hailing from 2005’s The Warrior’s Code with words by Woody Guthrie, invited more singalong participation from the audience, who boisterously chanted “whoa!” when called upon. 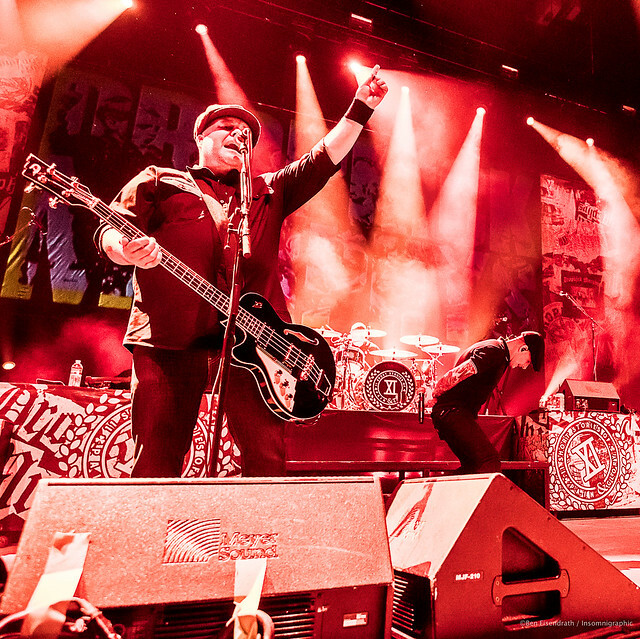 For the encore, Dropkick Murphys returned to their new album for “Until the Next Time” to close the show. They invited everyone within easy reach onto stage, and they danced through the resulting crowd as they said their goodbyes. This was again a new song that you could see surfacing in many future Dropkick performances, particularly as it was written as a ready signoff song. 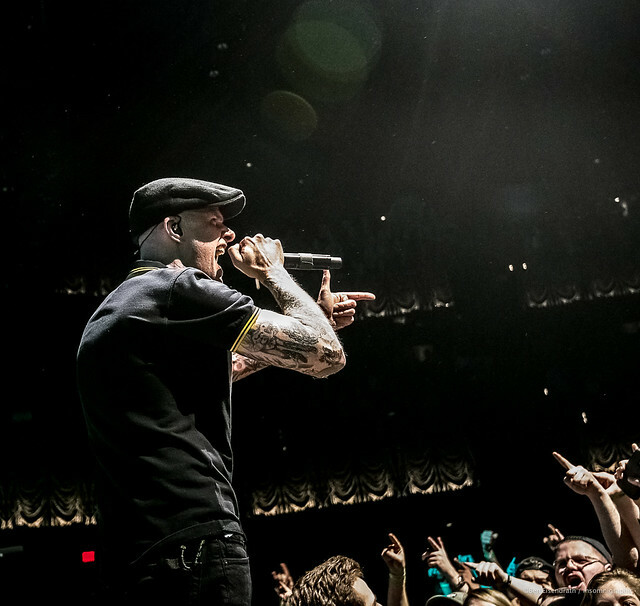 The Dropkick Murphys are still performing on their 2018 St. Patrick’s Day Tour, and you’ll be heartened to know they have no less than five shows in Boston from March 15 through March 18. Go rock out with the Murphys and channel your own righteous indignation into a stompin’ good time. Here are some pictures of Dropkick Murphys performing at The Anthem on March 10, 2018. All photos copyright and courtesy of Ben Eisendrath.